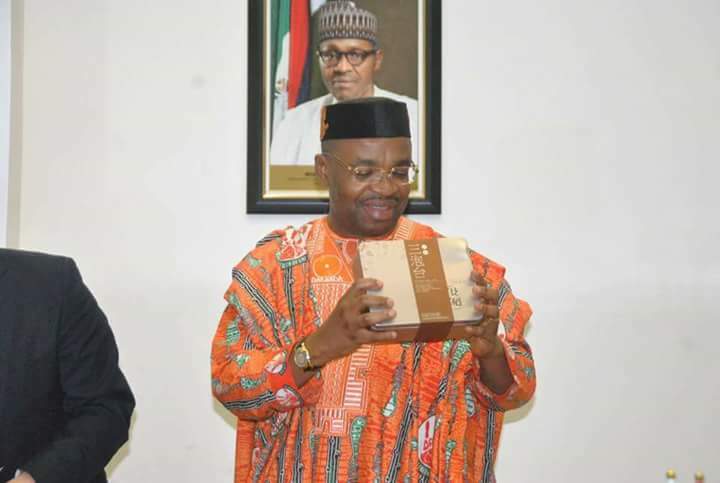 Akwa Ibom State Governor, Mr. Udom Emmanuel, has raised the alarm over erratic deductions of the Federal Government’s monthly allocations to the state in the last two months. Governor Emmanuel raised the alarm when a Presidential aspirant under the Peoples Democratic Party, PDP, Alhaji Kabiru Tanimu Turaki (SAN), led a delegation of his campaign team to pay a courtesy visit on the Governor, at Government House, Uyo. The Governor, who expressed displeasure over the development, said that the spasmodic deductions have caused a drop in Akwa Ibom allocation to the tune of N6. 8bn, adding that the federal government has also withheld the derivation funds for the state, bringing financial constraints on the state government. “As at today, they’ve withheld all our derivation funds, we have not gotten anything out of the derivation for last month. Within two months, they have dropped the allocation of Akwa Ibom State by N6.8bn, so you can imagine how much I was able to get, all in the name of politics. I’m still trying to pay salaries for July. “That is what is going on now but I want to believe that if you come into power, you would never do that to opposition. You need opposition to govern well because if you don’t have constructive criticisms on what you are doing, you are heading towards destruction”, Emmanuel stated. He assured the presidential hopeful, of fairness and sincerity in the process that would produce the candidate to fly the PDP flag during the 2019 presidential race, explaining that the Party has deliberately refused to identify the PDP candidate at the moment, in order to ensure a level playing ground for all aspirants. According to the Governor, “People keep asking,’ PDP, who is your candidate?’. It is a pure deliberate act to allow democracy to thrive. You would never see any governor openly identifying with any presidential aspirant. All of us want to leave it on a free, fair and level playing ground”. He expressed delight at the quality of individuals from the umbrella Party, vying for the ticket for the nation’s number one seat, hoping that Nigerians would appreciate the seriousness of the Party when the array of intellectuals are eventually presented to them and voted for an opportunity for aspirants to briefly address the nation on a live programme to convince Nigerians on what the PDP was actually ‘ bringing to the table’. While applauding the oratorical prowess of Alhaji Turaki, and his eloquent analysis of the country’s problems, the State Chief Executive noted that such understanding would make it easier to correct the anomaly, wishing him success in his ambitions and reteirated that “Power belongs to God and if you are destined to get there, nothing can stop that from happening”. He also appreciated the Director General of the Campaign Organization,for laying out salient points to consider in choosing the Party flag bearer, pointing out, however, that the PDP is interested in ensuring that the Presidency remains in the North in the next political dispensation, adding, “so that they can complete their tenure and leave it for us and when it comes to the South, we’ll decide where it goes to”. Emmanuel expressed hope that every action taken and processes leading to the general elections in 2019, would be aimed towards the success of the Party and condemned the reckless disregard to democratic norms displayed by eight Law Makers in the Benue State House of Assembly. In his address, the Presidential aspirant, Alhaji Turaki, eulogised Governor Emmanuel, describing him as the best performing Governor in Nigeria and the pride of the nation while applauding his dynamism in governing the state and attributed it to his pedigree in the private sector. He stated, “I want to repeat it here, today, you are the best performing Governor in Nigeria and the pride of the nation. This is not an accident, your background in the private sector as one of the few specialist in corporate governance in this country, placed you in a better position because not only do you have education, you have knowledge and experience”. Turaki added, ” The Governor is an accomplished professional who has risen to the Zenith of his profession, that is why in Akwa Ibom, the system is not only working but working well, not only efficient but carries everybody along, giving everyone a sense of belonging.This is what we need in Nigeria”. 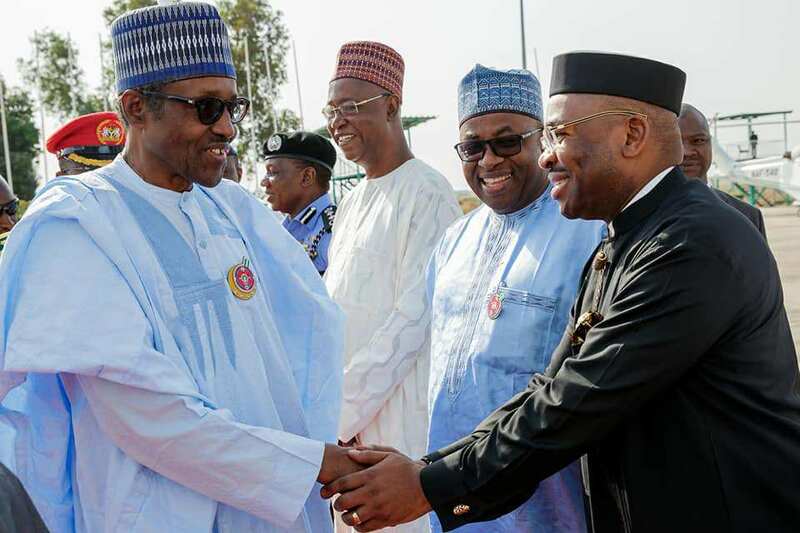 The presidential hopeful, who is a former Minister of Special Duties and Intergovernmental Affairs, said that so far, his team has toured about 21 states in the country interacting with PDP faithful, stressing that the quality of leaders and supporters they met at the State Party Secretariat, was the best they had seen and maintained that their belief that Akwa Ibom is a core PDP state, was not misplaced. He urged Nigerians to be careful in the calibre of people they elect into positions of authority to avoid individuals who have nothing to offer, to misgovern the country and destroy the economy, lamenting the situation in Benue State where eight state legislators, assisted by security agents, attempted to undermine clear provisions of the High Court and described the impunity as unfortunate and regrettable. Alhaji Turaki, who hails from the same zone with President Buhari, decried the high rate of killings and insecurity in the country, indicating, “never in our history have we been so divided in this country along regional, ethnic and other primordial lines, so much that Nigerians are beginning to doubt the workability of the Nigerian project. There is despondency, anger fear and mistrust”, and asserted that the country needs to be saved from imminent collapse. He condemned the obvious neglect of the Niger Delta Region by the government at the centre, explaining that the injustice and failure of the federal government to honour agreements earlier entered with communities of oil producing states in the region, have given rise to restiveness, which he claimed, was justifiable. Recounting the failed promises of the present administration, the Senior Advocate of Nigeria (SAN), also pointed out that the Nigerian constitution has been ‘hopelessly skewed’, promising that if given the ticket to contest and eventually emerged as the president of the country, he would ensure ammendment of the constitution and laws against proper restructuring of the Nigerian nation as well as implementation of the 2014 Nigerian National Conference, CONFAB, report. He called for intense work and committed efforts to be able to actualize the aspirations of the people in resurrecting the economy, urging Nigerians ro continue putting faith in the PDP as the Party to deliver the nation from the plagues currently ravaging the country and indicated that the PDP has learnt from previous mistakes and working assiduously to effect corrections. Earlier, the Director General of the Campaign Organization, Mr. Boni Haruna, said that the team was on consultation tour with a mission to try and secure the PDP Presidential ticket, adding that the concern of every Party member, was, producing a capable candidate that would contest against the main opposition presidential candidate. Mr. Haruna, who is a former Governor of Adamawa State, said that Alhaji Turaki was a credible candidate in all ramifications of capacity in terms of integrity, character, resourcefulness and enormous knowledge to understand and conceptualize the problems of Nigeria and profer sustainable solutions. He recommended that the Party should ensure that the PDP flag bearer is drawn from the same zone where the APC candidate comes from, explaining that it would minimize the risk of allowing room for block votes to be harvested by the opposition, during the election. Haruna stressed, “Election is not only about winning but winning with substantial and reasonable margin that even the defeated, would have nothing to say. Let us have the best for the 2019 presidential election against the APC presidential candidate”. The visit was witnessed by the State Deputy Governor, Mr. Moses Ekpo, Speaker of the State House of Assembly, Barrister Onofiok Luke, the State PDP Chairman, Obong Paul Ekpo, former Governor of the state, Otuekong Idongesit Nkanga, Secretary to the State Government, Dr. Emmanuel Ekuwem, Head of the State Civil Service, Mrs. Ekereobong Akpan, Members of the State Executive Council, Political Stakeholders and Chairmen of Boards and Commissions among others. BREAKING: ‪Mr. Bolaji Abdullahi finally announces his resignation as APC spokesperson.